Andy McKee and Richard Jones from Dovestone SC are the 2019 Flying 15 Southern Champions. McKee and Jones finished tied on 11 points with Jeremy Davy and Martin Huett of Draycote Water SC after six races, their two wins giving them the title. In third place were David McKee and Mal Hartland, with Charles Apthorp and Allan Green in fourth and Hamish McKay and Anrew Lawson fifth. McKee and Jones dominated the first day taking two race wins and a third to lead by six points from Davy and Huett, who had taken the other race win. 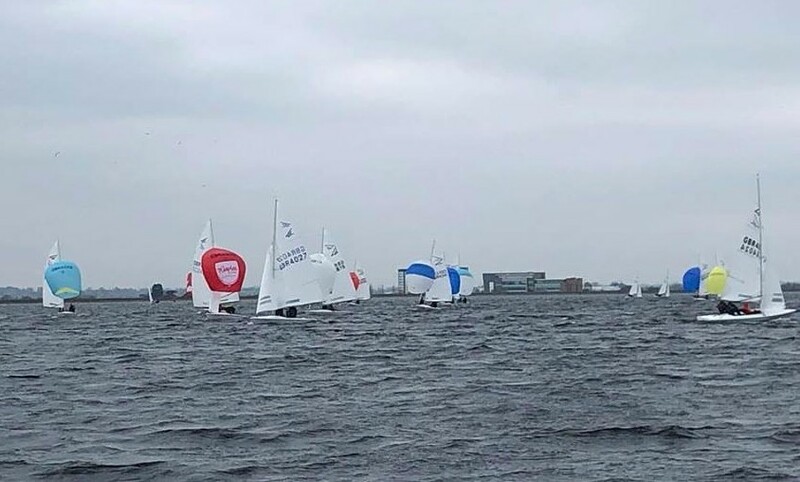 On day 2 a 12th place meant McKee and Jones were playing catch-up as Davy and Huett scored a steady 2, 3, 3, with McKee and Jones recovering with a 2 and 4 to tie-up the overall points and claim the title on count-back. Race winners on day 2 were, Nathan Batchelor and Richard Rigg, Apthorp and Green, and McKee and Mal Hartland.